I’ve always loved Disney. One of my earliest memories was watching Beauty and the Beast. I could repeat all the dialogue and sing all the songs by heart since before I can remember. My Dad has even said that I watched that movie so much as a kid it’s the only Disney movie he knows all of the songs to! The decision of what to study in college was a struggle for me. English and literature is a passion of mine and something I always figured that I would major in. But I’ve always had a longing to travel. So, when I saw that a university near my home offered a major in tourism, my mind was made up. You can imagine my delight when I started seeing signs for the Disney College Program around campus. My school even offered credit for completing a semester internship at Disney. I was a student in the large School of Hospitality and Tourism, and it puts a lot of emphasis on internships and work experience. All students are required to complete a certain amount of internship hours to graduate. I could work at Disney and be able to complete my required hours. It seemed perfect. The internship necessitated me being away from home for a semester, (I live in upstate New York) but I figured I could handle it. I already lived on campus about 45 minutes away from my house. I won’t bore you with the intense details of my internship. To be perfectly honest, almost every person I know who did the Disney College Program started a blog about their experience. That’s not what this is about. A lot of people do this internship. At any given time there are 4,000 interns down in Disney. The experience is unique in the way where you will never have an experience quite like it, but it is entirely unremarkable compared to the hundreds of thousands of interns that came before you. I’m not going to pretend that the day to day life of my internship changed my life, it’s the overarching experience that made me the person I am today. This internship is what you make of it. It has a reputation for being a huge party and a fun way to blow off a semester. Of course, all those things are true. I’m also not going to pretend like I was the perfect intern. There were times I called in and times I slacked off. I want to be real about the program though, and want to let curious potential participants know what they may be able to get out of it. Disclaimer: I did this program for the first time six years ago, and then again for a second time three years ago. They changed a lot of rules in between my first and second times, and I am sure the program has changed even more now. I am speaking as candidly and factually from what I knew and know about the program during the time periods I did it. If any information I am currently giving is incorrect regarding the way the internship operates now, I apologize. As an intern, you are eligible for any job in the park apart from tipped positions. (meaning a server, bellhop etc.) I had roommates that were everything from lifeguards to custodians to housekeepers. Shifts you can be scheduled can be early morning, late night or anywhere in between. You are trained like any other full time employee who works at Disney and your managers have the same expectations of you too. It is hard work. You could sign up for a quick service position and hope to be put on the ice cream carts out in a park. Or you could be given the job of cleaning up after diners in one of the many quick service restaurants. No matter what, the job never turns out to be what you expected. I mean that in a good way too! Yes, you get free admission to the parks as well as other perks and discounts. Don’t get me wrong, the free admission is amazing. The discounts and coupons Disney gives their employees during the holidays is also generous. To be honest, most interns stop going to the parks to play on their days off after a few weeks though!. You're going to like just being off and enjoying time with your roommates. This saying above is what I tell people who ask me about my experience. In order for you to have a great time, you need two out of those above four things to be mostly positive. Sounds a bit bleak, but I assure you it’s not. If your roommates and your co-workers are amazing, a not-so-ideal job and managers will hardly affect you. That’s because you’ll have positive experiences anyway while at home or while working. If you and your roommates fight like cats and dogs and you don’t get along as well with coworkers, then understanding and positive managers and a job you enjoy will be your savoir. You will be at your job nearly every day, and Disney allows almost unlimited over time. So you can work and have fun making great experiences for guests and really only be home to sleep and eat. No biggie. Also, your coworkers HAVE to at least be decent to you when guests are around, and if you have great managers they will have your back. If your experience falls below the ratio, you might not have a great time. A job that's a dream is not going to save you from bad managers, coworkers, and roommates. Roommates you love like siblings are not going to be enough to keep you at a terrible job with awful coworkers and demanding managers. For many interns, even if they live at school, this program is going to be their first time with any significant distance between themselves and their families. It was a lot tougher being away from home than I expected. Beware, if you choose the fall program you will be working during the holidays. If your family comes down to see you, there is also no guarantee you’d even be able to spend a lot of time with them. I'm not trying to be harsh or negative. These are honestly just the realities of a place like Disney. Plenty of your coworkers will be required to work on the holidays, and they have their own family they would probably rather be with, just like you. It actually doesn’t work out too bad, because everyone is in the same boat. In my experience most guests were very grateful that you were giving up your holiday to make theirs great, and the day gets so busy the time passes quickly. You’re all working together towards a common goal. It’s the sense of camaraderie and support between cast members that makes Disney such a positive environment. Besides hard work, possible bad roommates, and working on the holidays, what can I get out of my Disney College Program? I was being sarcastic above! I can tell you, without a shadow of a doubt, that all of my jobs I have gotten after graduating college was because of the Disney College Program. I did another program in 2013, one of the reasons was because I was trying to go for a Professional Internship (PI), and you have to apply while you are currently in the regular college program. I won’t go into detail about the Disney Professional Internships, (to be honest there are a couple of different ones and I don’t know all that much about them every one) but all you need to know is that they are extremely coveted. There are usually only one or two positions within each internship, and hundreds of people apply to each one. 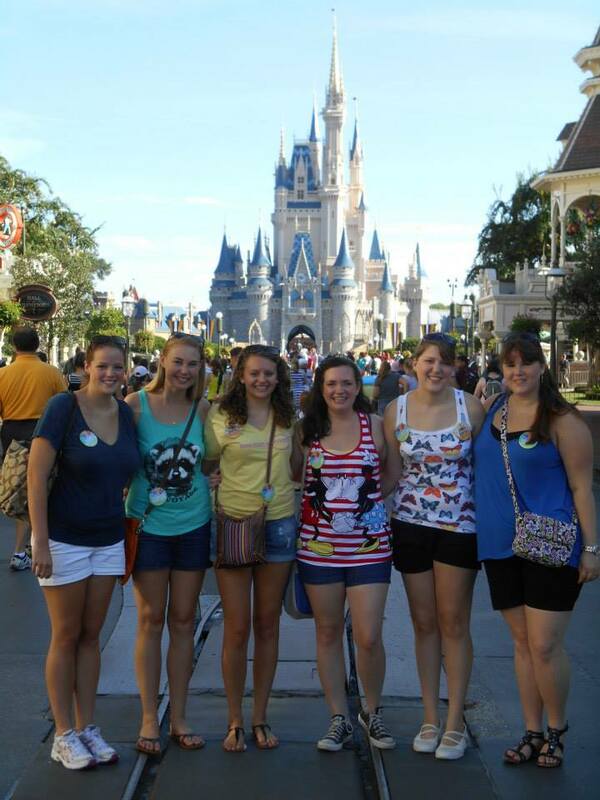 They are a great way to cement your position within the company and really start a professional career with Disney. Every single person I knew personally and talked to on a daily basis during my second college program applied to at least one of the professional internships. I mean every single person. All of my roommates, all of my college program co-workers that I was friendly with, and anyone else I knew like our neighbors and friends of friends. I don't mean that every single college program participant applies to a PI. I am saying that everyone I personally was friendly with and spoke to everyday applied to one. I do not know a single person who got to even the interview stage. So, here I am raining on your parade again. Why did I bring this up? It really wasn't the end of the world for anyone that got rejected, including me. I got more out of this program than an internship. It just took me a while to realize it. Before my first internship, I would have categorized myself as shy. I didn’t like speaking in front of crowds, I was nervous and had lower-self esteem. I had never worked full time before or lived so far from home. You cannot be shy and work for Disney. The job smacks the shyness right out of you.. You have to speak to large groups of people, you need to memorize spiels, you're going to have to learn hard work ethic and how to get along with people you never would have met in your regular life. Disney cares about their guests and customer service more than almost any company, and they drill that into their cast members heads. I had pretty much no customer service experience nor did I have even a concept of what “good customer service” meant before I started working there. I left my second program and almost at once got a job working in my city's science museum. 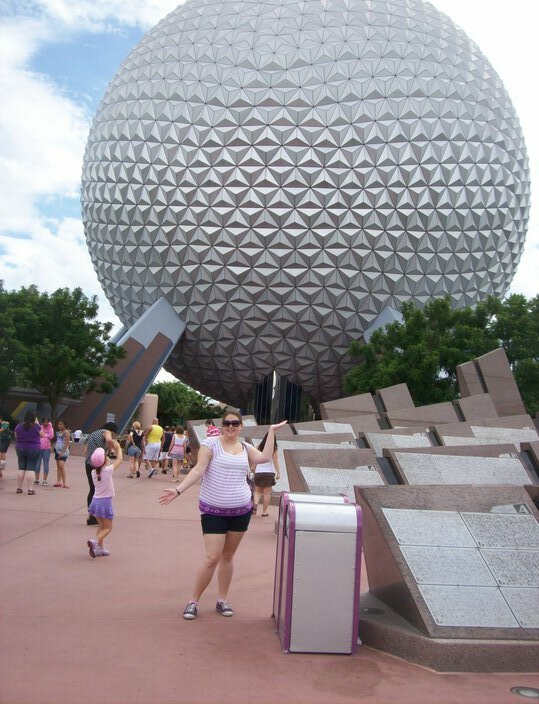 I was asked about my Disney experience almost immediately during that interview. I spoke about the amounts of time I had to recite information, keep guests calm and sprout safety measures. I got the job. I got another part time job during the same time period running a carousel at a local mall. Again, I asked about my Disney experience almost exclusively and got the assistant manager position. My second job and real full time position at the leisure travel agency was where I ran into more good luck. My manager at that job was a Disney College Program alum herself. We reminisced and chatted about Disney almost the whole interview, I got the job. I had a similar situation when I was hired at my second job. My hiring managers hadn’t done the programs themselves but were familiar with the program and could tell how important customer service was to me. I mentioned how Disney started the passion I have for good customer service, and I know it shows in my work. At the end of the day, do the program for whatever reason you want! I knew lots of people who did the program and goofed off. You know what? That’s perfectly okay. I also know program participants who used the internship as a start point for serious careers with Disney. That’s okay too. I think I fall somewhere in between, not because I partied a lot, but because I did call in more than I should have. Usually it was to spend time with my amazing roommates who I still talk to every single day, so I do not think it was a waste at all. You will get a lot out of the program whether you stay at Disney forever, leave after a month because you're homesick, party every day and call in just under the amount of times it takes to get fired, or get perfect attendance. No matter what, it’ll change your life!